"Simply put, Jake is a superstar! Jake helped me navigate my first home purchase with obvious knowledge of the Chicago market. He never once pushed me towards one property or another, he offered practical advise when I asked for it, and he was invaluable throughout the entire home buying process." "We thoroughly enjoyed out experience working with Jake in finding a great home in the city. He worked with us over a holiday weekend and even took time out of his vacation to ensure that our needs were met. He was extremely quick to respond to emails, calls, and texts and made the overall process quite easy. He was an extremely professional, polite agent, and we will be using him in the future. We highly recommend working with Jake if you are interested in the Chicago area." "My wife and I have been buying and selling both residential and commercial real-estate for 40 years at a rate of one or two properties per year. Mr. Steinle provided the best, most professional experience we've ever had with a realtor. He went "above and beyond" in helping to liquidate one of our properties located in Chicago. I strongly recommend, without any reservations, Jake to help with your real estate needs." "Jake is the best agent I have ever worked with. He's proactive, solution- oriented and is on top of the process the entire way. Never felt like I was playing a waiting game. I will recommend Jake to any friend. Especially those going through the search process for the first time." 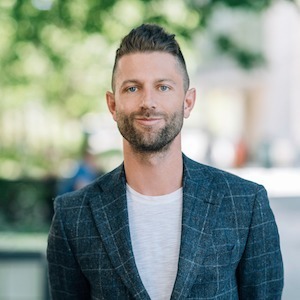 As top producer downtown Chicago at @properties, Jake has a savvy understanding of what it takes to be a successful agent and he now brings his wealth of knowledge and experience to his work at Compass. A Miami University (OH) alumni, Jake began his career in real estate managing his relative's rental property portfolio while growing up in Milwaukee, WI and has since brokered over 250 combined residential and commercial deals after obtaining his license only in 2013. Jake has lived in Lakeview, Lincoln Park, River North, Bucktown, Fulton Market and currently lives in the West Town community area of Wicker Park. Jake has an extensive familiarity with the city and has closed a wide variety of transactions including condos, multi-unit buildings, townhomes, single family homes, new construction, land and has executed both residential and commercial leases. In addition to the neighborhoods he's lived in, Jake focuses his business in West Loop, The Loop, Streeterville, Lakeshore East, Noble Square, Humboldt Park, Logan Square, Avondale, Ravenswood, Roscoe Village and Uptown. His tireless dedication and his ability to patiently listen to his client's needs and provide them with proven creative solutions is what sets Jake apart. His approach is unlike any other broker's. He's sold property on social media. He's matched buyers with properties that sellers were not considering to sell and closed those deals. The results speak for themselves. He has an average market time of 11 days and a list-to-sale ratio of 99% on all of his listings. Jake truly has a unique ability to connect with people on a very personal level and empathize with their needs and wants whether they are buying or selling. Because of this, his clientele ranges from first-time home buyers to seasoned commercial investors, and everyone in between. Jake is also a member of the Top Agent Network, a collective of the top 10% of licensed real estate brokers in the Chicagoland area in addition to the Chicago Association of REALTORS® and the National Association of REALTORS®. Prior to his career in real estate, Jake worked as a senior sales consultant for Unum, a Fortune 500 life and disability insurance company. He credits his extensive corporate sales training early on in his professional life as one of the keys to his success thus far in real estate.